Rebecca Mahoney will swap Wairarapa for San Francisco when she takes to the field with her whistle this weekend. Mahoney has become one of the country’s top rugby referees, and this weekend she will be taking control of some of the women’s matches at the Rugby World Cup Sevens. 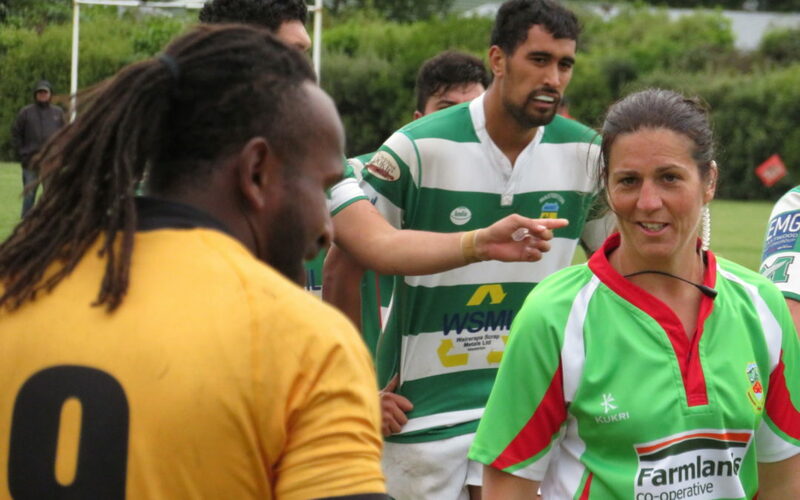 She has been refereeing Wairarapa-Bush Tui Cup matches in recent weeks and continues to excel when given the chance to take control of matches at the highest levels of the game. In 2017, she was named supreme champion at the Wairarapa Times-Age Sports Awards. Mahoney has controlled finals of the national women’s inter-provincial championship, became the first female referee to control a domestic first-class men’s fixture in New Zealand, refereed 15-a-side internationals and has officiated on the women’s world sevens tour. She was also a finalist for the Referee of the Year trophy at the New Zealand Rugby Awards in 2016. The Wairarapa born and bred first five-eighth enjoyed a successful playing career before taking up officiating. She played club rugby for Eketahuna but also enjoyed stints with Hawke’s Bay, Manawatu, Wellington and the Black Ferns. The Rugby World Cup Sevens kicked off with a match between Fiji and Spain at 5am [NZT] this morning. New Zealand’s first match was against Mexico at 6.50am.